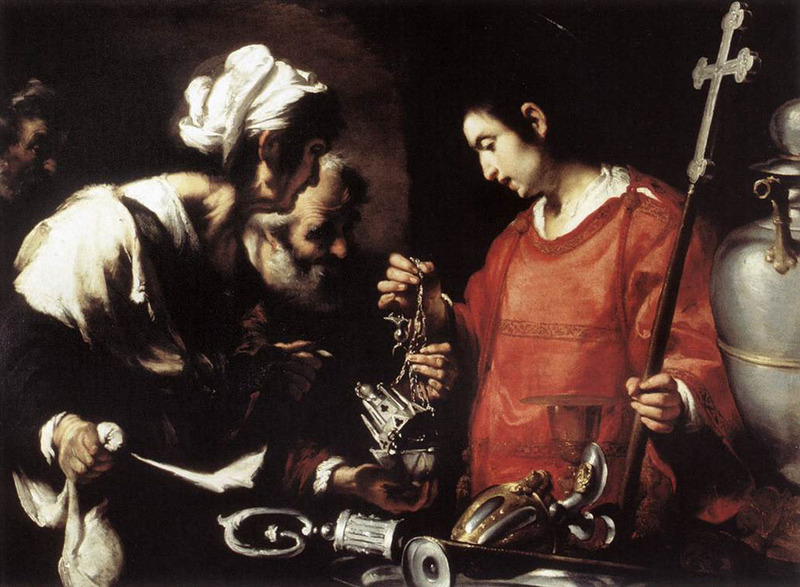 St Lawrence was born in Spain and was appointed deacon in the patriarchal church. He is sometimes called "archdeacon of Rome", a position of trust that included the care of the treasury and riches of the church and the distribution of alms among the poor. The Roman authorities decreed that all Christians who had been denounced must be executed and their goods confiscated by the treasury and Rome demanded that St Lawrence turn over the riches of the Church. 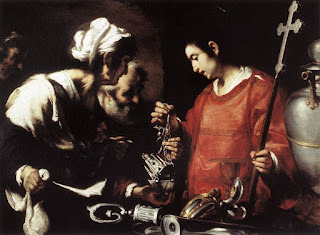 St Lawrence asked for three days to gather together the wealth. He worked quickly to distribute as much Church property to the poor as possible, so as to prevent its being seized by Rome. On the third day he presented himself to the authorities, and, when ordered to give up the treasures of the Church, he presented the poor, the crippled, the blind and the suffering, and said these were the true treasures of the Church. One account records him declaring: "The Church is truly rich, far richer than your emperor." And so he lost his life.